A British mother-of-five, who moved to Australia when she was two years old, faces deportation back to the UK because of her criminal record. Kelly Webb, who has been to prison 11 times for various offences including assaults, is currently serving an 18-month sentence for committing a burglary with a knife. 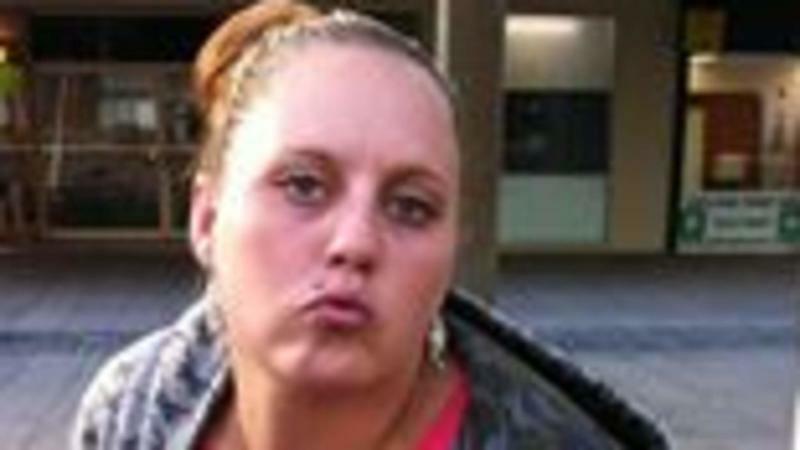 She has an extensive criminal history, including a conviction for killing her stepfather at the age of 14, for which she was served with a good behaviour bond after she was judged to have killed him in self-defence. The 30-year-old - who says she has not used drugs in 18 months - moved Down Under in 1988. However, she never naturalised or became an Australian citizen because she never knew she had to. A new law which allows a visa to be cancelled if a person is imprisoned for longer than a year has been introduced in the country. Webb, who says she has no family in Britain, learned her visa had been revoked three days before she was due for parole and has now been moved to Maribyrnong Immigration Detention Centre in Victoria. In a phone interview with local radio 3AW , she slammed the law as "cruel" and said she would "die of a broken heart" if she was sent back to Britain because she would be without her Australian-born children. "I just want to be a mum to my kids," she said. "I don't want to be taken from my children... I'll die of a broken heart." She said the threat of deportation was "the wake-up call that I need" to turn her life around - and appealed to the authorities to "give me a chance". "I want to work on myself ... I don't want this life for my children anymore. "Please just give me a chance. I would never ever do anything wrong ever again. "I need to stay in this country. I need to be here for my children. It's my drug addiction. If I can work on that, then I know I'm going to be ok.
"I just can't imagine not being able to see my kids again." Greg Barns, from the Australian Lawyers Alliance, told the Australian broadcaster in a separate interview that the process was "absurd" and "grossly unfair" - and that Webb's situation was not an isolated case.